The road to Black Belt is an amazing self journey that if you simply pay attention you will learn much to help you in life. However so many fail and don’t make black belt, many get stale at the coloured belt level and never realise full potential. Black belt is the first big marker. 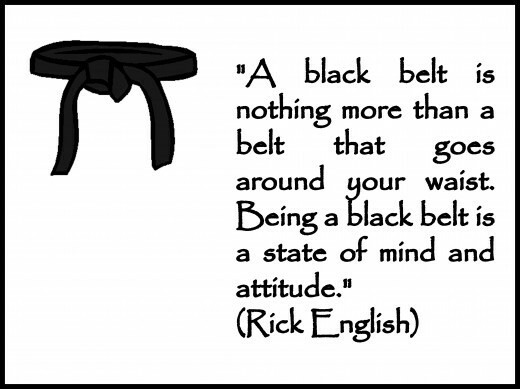 A black belt is the beginning of the journey of refinement and excellence. Each person who starts a martial arts will actually be sized up by the martial arts itself. It will ask, Do YOU have what it takes to deserve the honour I give? What did you really think this was going to fall into your lap? This is a goal of physical skill and mental discipline and it will challenge you. But then what outstanding achievement doesn’t? 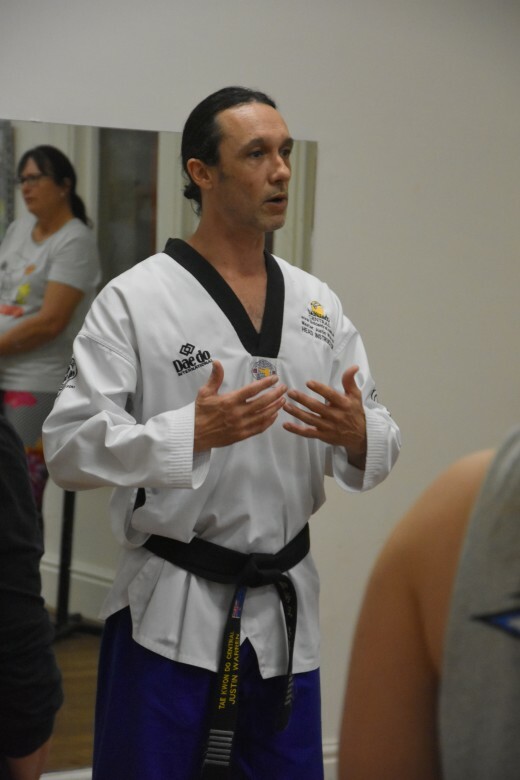 If it was easy, everyone would be a black belt, its going to push you but it is completely achievable to anybody and even easier if you know some of the things that may test you on the journey. The martial art will weed out the soft starters, so how can you avoid that. 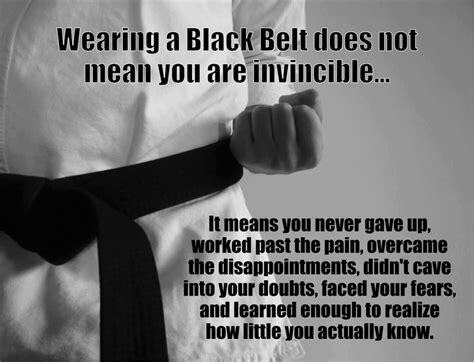 You will be put through many different “tests” to see if you are worthy of a Black Belt honour. Naturally starting martial arts is about climbing belts. Its one of the greatest visual goal systems in existence. Many martial arts have it. It sorts out who is the highest ranks based on life experience in the art. Belts make clear cut levels on where you stand in your journey, you can measure how far you’ve come and you can measure how far to go to achieve black belt. changing a belt colour has a sense of pride that comes with it and lets us keep the more experienced at the front where the less experienced back rows can follow. A grading examination will bring up nerves and anxiety. It will create an inner atmosphere that will create pressure. Grading by Grading you will learn how to deal with it. This belt examination is conditioning you for your black belt grading. these are all mini stages of physical & emotional conditioning increasing in small increments to allow you to build the skills and resistance to the good ole emotional freak out. We have 11 belt stages to black belt. that’s 11 times you will be put in front of a judges table to be marked on your level, this kind of experience will keep you controlled and balance inside during your black belt examination. The absorption of confidence and experience will be soaked in when you need it. This experience and new found inner control can also be summoned up when needed outside the training arena. You pass a level to make you stronger to face the next level higher. It a beautiful process. Self improvement is truly awesome. there isn’t much on earth that will give you more satisfaction, true progress in self improvement of martial arts is 2 things. Discipline & Focus. The ability to do what needs to be done to achieve a skill or level and the ability to see and keep moving towards the end goal. Self Improvement is what its all about. Taekwondo is an art of self improvement in both the physical & mental aspects. Self Improvement is about repetition to increase skill and in within that also comes the ability to start taking on a higher or harder level. Self Improvement & Belt Levels go hand in hand, Raising a belt level is raising a level of self improvement. you cant have the first without the other. Overcome a challenge to get stronger to overcome the higher challenge, this is how improvement works. 3 – The Test Of The Great Adversary. 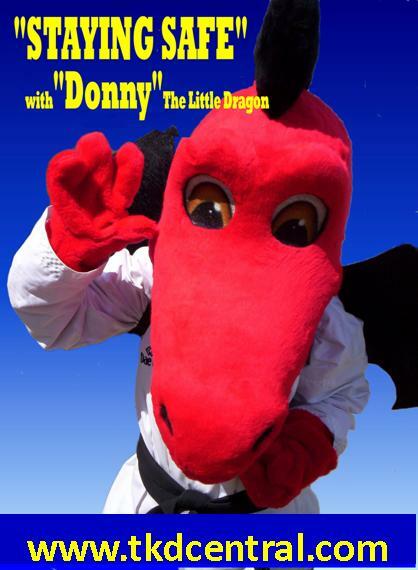 Taekwondo training will also have you encounter great adversaries. Of course the first thing that comes to mind is another Taekwondo student, but allow me to expand the meaning. 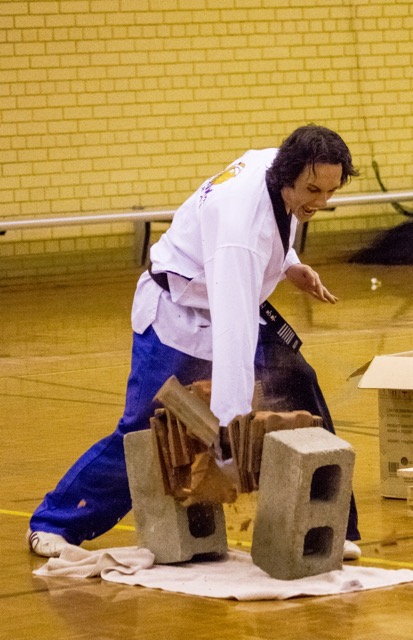 The great adversary can certainly be another person at training, and also a hard pattern that test the limits of your coordination, the board break that is hard for you to get through, that difficult kick that challenges your bodies limits or that belt level that just is a little harder to conquer than the last. The great adversary can be limited flexibility in a particular area, soft strikes that don’t rattle anybody, or the lazy mind that has just turned an exciting opportunity called life into a lame existence. Some adversaries can be very handy to lift you, like training partners, some adversaries are designed to test you even if its your patience and control. Some adversaries are there to school you. Don’t negate the adversary, it can show you the areas you need to work on or the weakness in your game you need to pin point and fix. The adversary also keeps you motivated to climb a higher level that is probably higher that what can be achieved alone. In my high school years, I was fortunate enough to win champion boy at the school athletics. I loved martial arts and it greatly increased my overall athleticism. I remember one particular event. The 100 metres. My favourite!! I remember this particular race because it helped me understand the value of a good adversary. I remember at the 50 metre stage I was leading but I could here something breathing hard on my right. Someone was about to overtake me. I remember the extra speed I didn’t realise was in there until pressed. He pushed me but it made me go harder to get the win. Adversary can bring out your best. These are just 3 of many that will land in front of you, but there is one test I think is the most important of them all that’s not grading for belt colours. Its the number 1 reason most don’t succeed in all long term goals, Its something that once you understand its power, your life will change and I believe nothing teaches it like martial arts can. Starting martial arts is always exciting. Ill never forget the fun of my first class. 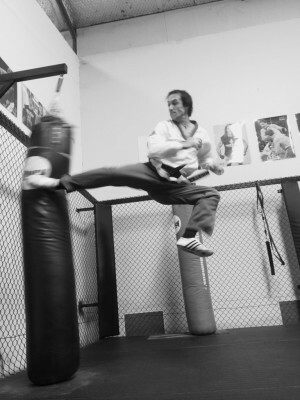 I was already athletically sound as a teen, so Taekwondo came quite naturally to me. Its power yet beauty, the speed and agility of the kicks, the loud almost frightening yelling when striking and that amazing ability to almost float in the air with flying kicks. Different people enjoy different aspects, some love the art, health or fitness some love the sport, some love to fight. Its different for different people. but rest assured all will be tested and this test will determine if they remain doing martial arts at all. You have been training for a period of time now and you may be anywhere from 1/4 to 1/2 way to the goal of black belt in belt level. It was super exciting and new, its become a little more routine, its a bit repetitious. your first great success hurdle is approaching. Its the same for any of life’s goals or dreams. If you don’t pass this stage you simply aren’t worthy of the dream or goal. Simply you have been dreaming. When Motivation switches to Discipline, most drop out cause they fail this stage. Up to now you’ve been riding on a wave of motivation and excitement, its new and exciting. the changes are fast and noticeable and your feeling like a fighting machine. However the excitement now is starting to lower. Now your discipline needs to come through, your discipline is what will carry you, but do you have any? Well this is the question Taekwondo will ask you. because earning a black belt will use motivation to start, then discipline to finish. You have now done moves thousands of times. turned up to many classes However understand this is a must. This is how automatic skills are formed. I have trained many students who I will say “You need to keep practicing, its not usable yet and the response is a huff, eye roll, posture drop and complaint. Like its my fault they haven’t reached the requirement, or perhaps I should let them through. This is about raising your level and improving not bringing the standard down cause you cant be bothered putting in the work. Life doesn’t work this way, and when persons who have a lazy mind, when their skills are put to the test its a dismal fail, why? You cant talk the instructor or your body into this. You need to put in the required work. You do as many as it takes until you own the skill. it may be 1000, it could be 10000 times. This is a test to see how you respond. Will you put in the needed hours & repetitions to master the skill. 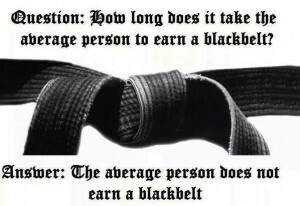 If your answer is no, then you don’t deserve a black belt. Repetition is how fast direct techniques can be developed. This is how efficient muscle memory and correct reflexes are made. The Goal of Martial Arts Skill in defence is “Unconscious Consciousness”. Default skills that kick in without having to think or remember. They are reflexive, the are effective and they work. This happens through a series of perhaps 1000+ repetitions. This is the secret to excellence – Repetition. Refinement is another way to look at it. Welcome to the refinement stage of training. Will You Pass It? I Know You Can. It Just Takes Discipline. Unspoken – yet insightful and wise. Thank you Master Justin, your message is transferable to many challenging aspects of our lives.